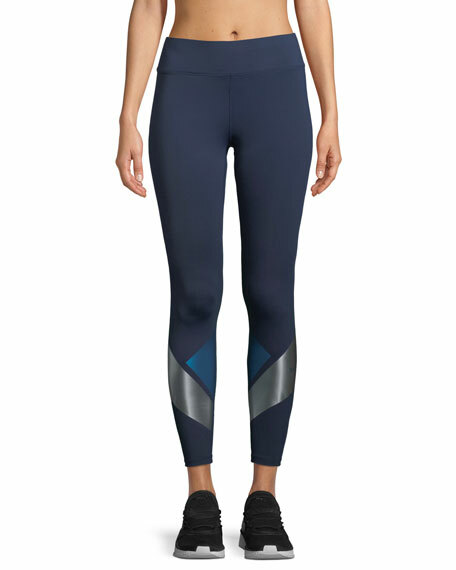 Heroine Sport "Flex" performance leggings with metallic printed design. About Heroine Sport: Heroine is described in the dictionary as a women distinguished by strength, endurance, and empowerment. 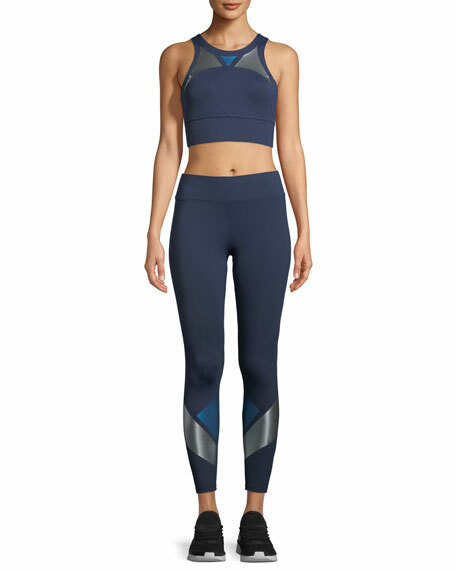 This was the main focus for NYC-based designer, Nima Taherzadeh, when creating a hybrid line of activewear. 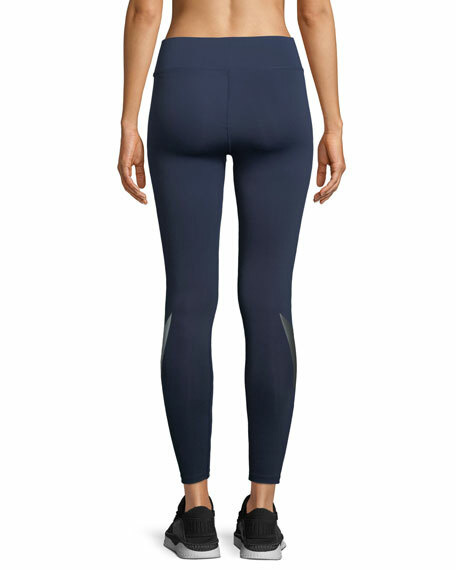 This "Made in USA" collection embodies a high-fashion feel with a sporty attitude using high-performance fabrics that can transition from day to night easily. For in-store inquiries, use sku #2466960.